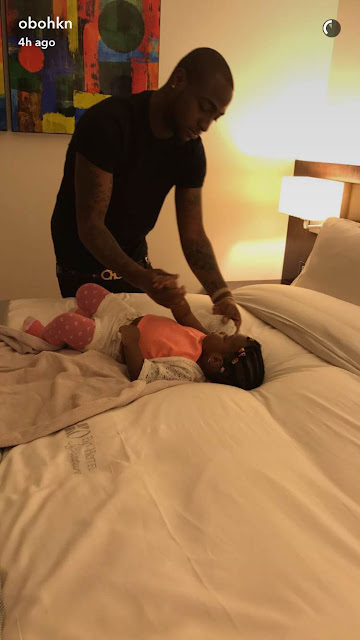 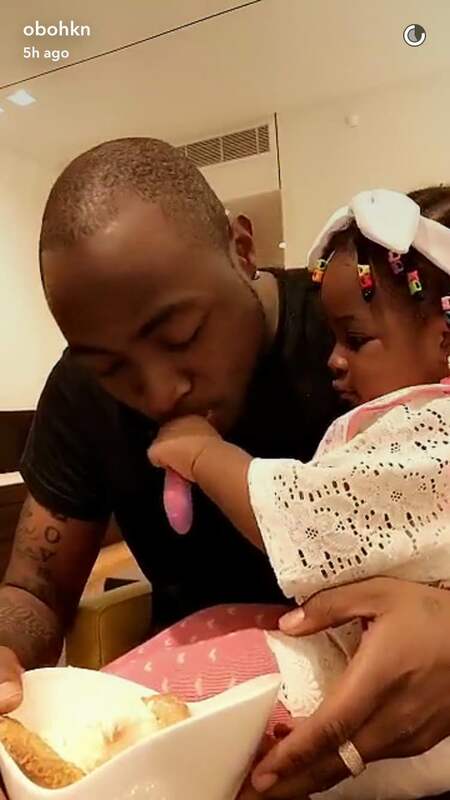 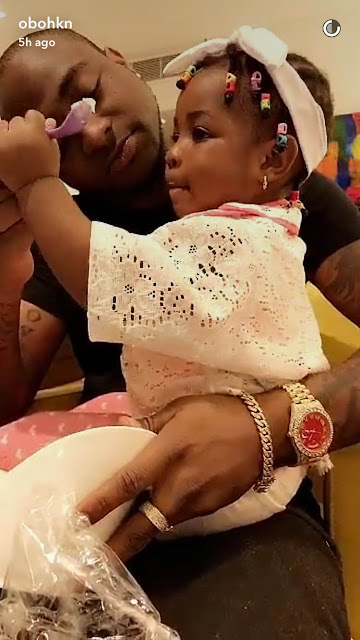 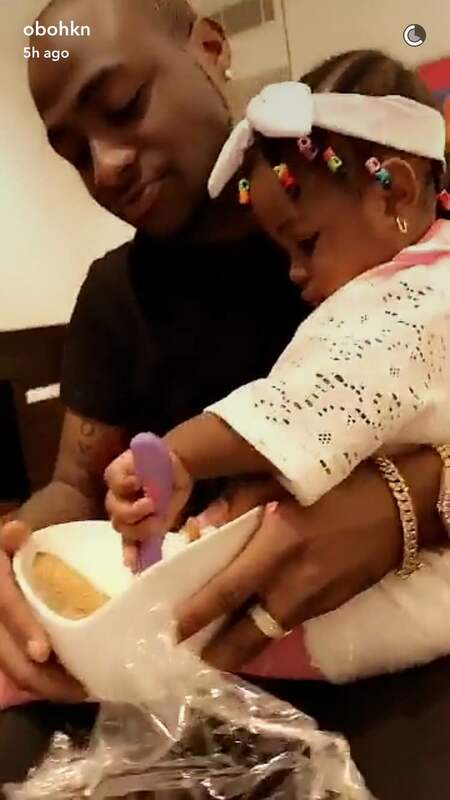 Doting Dad, Davido shared some lovely father-daughter moments via Snapchat. 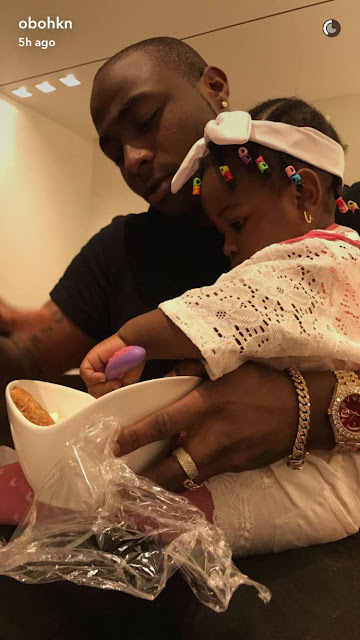 The videos shows his daughter with Sophie trying to feed him with Ice Cream. 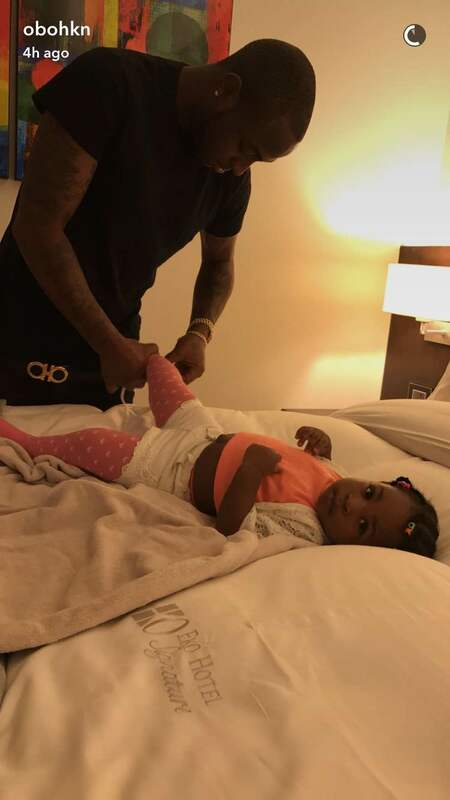 See more adorable photos when you continue..